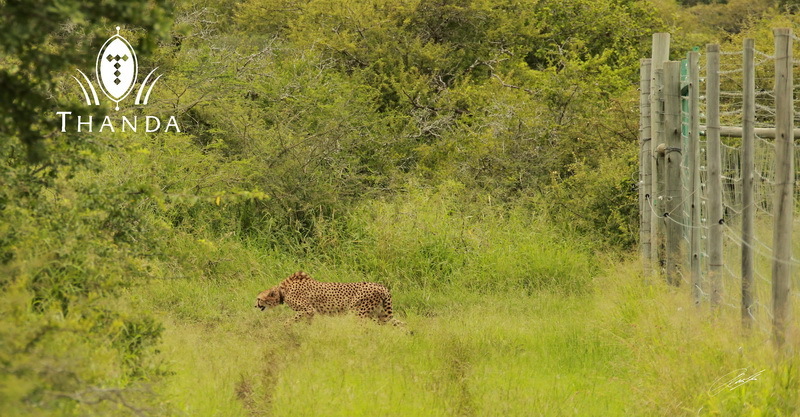 Today was a great day for the Thanda Cheetah population. 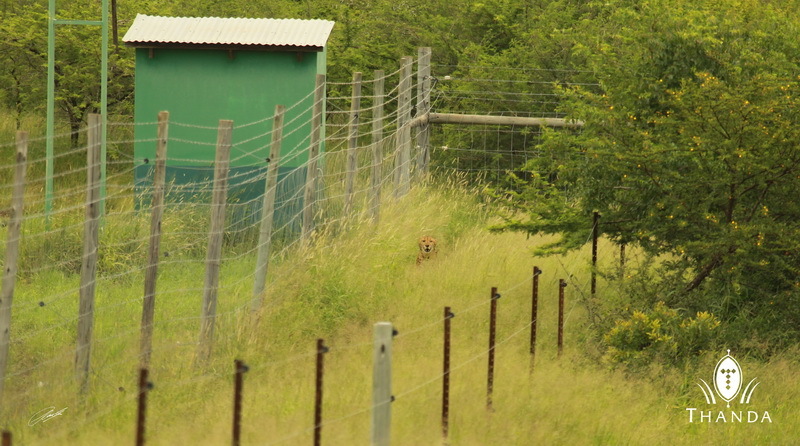 They were joined by a new female which was released onto the reserve. The three year old cat was born at Mountain Zebra National Park and came to Thanda via the Hoedspruit Endangered Wildlife Center. Faye Peters and Phillip Lennon from the popular South African TV program 50/50 documented the event. The Thanda Wildlife Team (led by Mariana Venter) with the help of specialists from WildlifeACTFund (led by Simon Morgan) worked for seven hours to convince the young lady to leave her boma (A boma is an enclosure in which animals are normally kept at full board from the time of arrival at Thanda to their release onto the reserve). 1 – A portrait of the lady! 2 – Still in the boma. 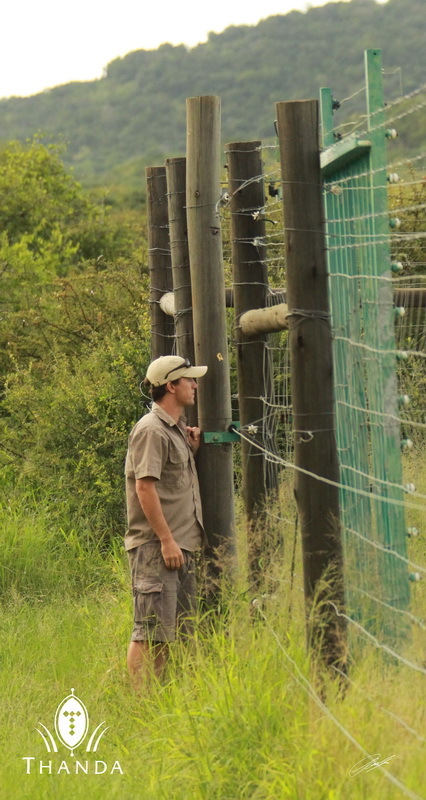 3 – Simon Morgan (WildlifeACTFund) trying to spot the cat in the boma. 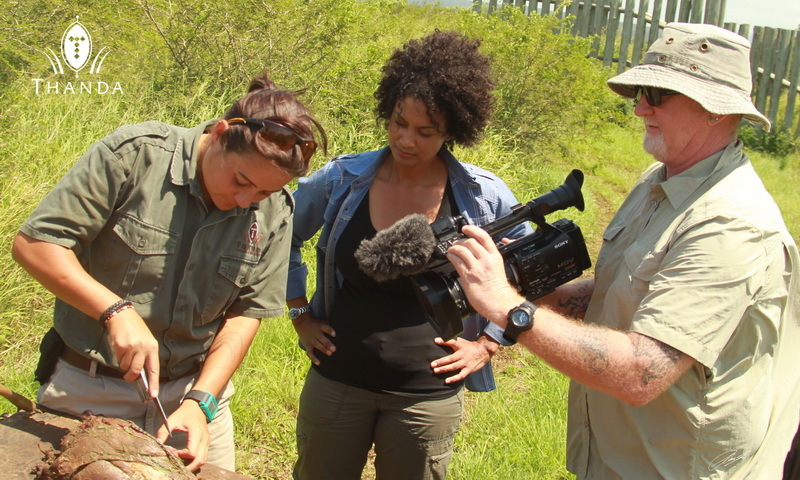 4 – Mariana Venter (Thanda Private Game Reserve) explains to the 50/50 team the use of bait. How exciting! So, will she be in any danger of not being accepted by other cheetahs there? Hope she adapts well. Looking forward to seeing more photos of her in future. 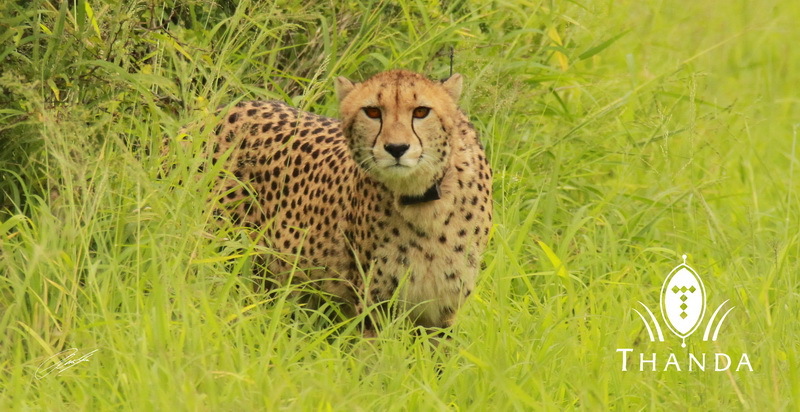 How many Cheetahs do you have on Thanda? Quite a gorgeous young lady. I look forward to hearing of and seeing images of her cubs in a year or two. Very beautiful lady, wishing her the best adapting to her new surroundings. I Hope she won’t be camera shy!!! Has anyone named her yet? Thanks or your comment (Lisa) – We do not name any wild animals (only if they are part of a research project) – she is the larger of our two females, so it will be relatively easy to identify her when we see her. Beautiful Cheetah! !� I finally got my camera and hope to take the next class at the zoo. She is a beautiful cheetah! I happy for her she is in the protected environment of Thanda. 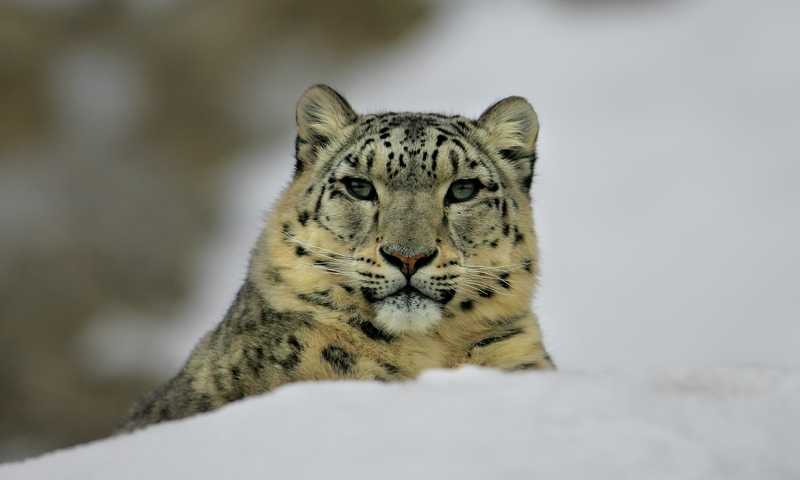 Hopes she finds some cozy spots which she feels comfortable… May take a little time… then cubs in the future. Thank you for sharing her with us Chris! Thanks for your question/comment (1107photography). The other Cheetah are not a problem. If she stays away from the Lions she will have a good chance for survival. Very good story about the new lady! 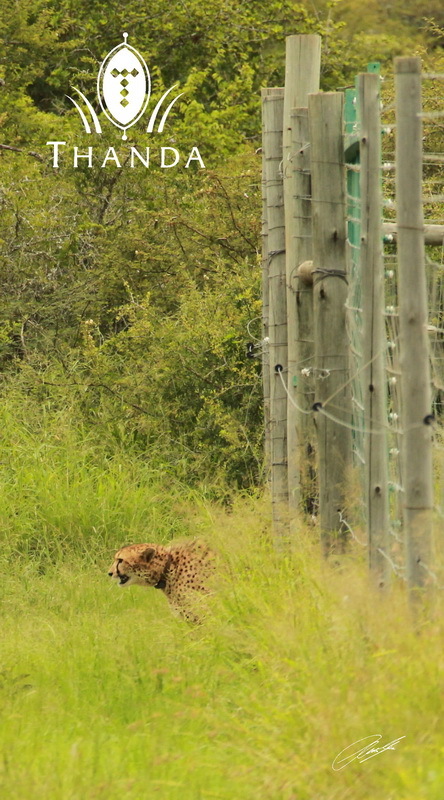 Wonderful to see that Cheetahs have a safe place to live and survive! Previous PostPrevious A summer evening with rare guests!